I’ve loved Heinz tomato sauce since I was a kid so when seeing this Hot-Headz sauce I was really looking forward to trying it. It wasn’t a disappoint when it came to taste, a lovely rich tomato sauce with a cinnamon kick. I was however disappointed by lack of heat and would have liked it a fair bit hotter. My only gripe with this great tasting sauce is the heat oversell. 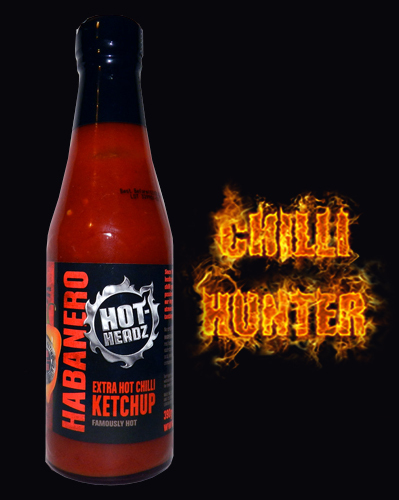 The bottle states “Habanero Extra Hot”, has a picture of a Habanero and it’s 100,000 to 350,000 scoville rating and includes a 4/5 chilli rating. Id put my bottle around 2000 scolvilles.